Make your own Teddy bear party stuffable plush unstuffed animal kits under 7.00. Stuffable animals for fundraisers, bear party events, group activities and gifts. Unstuffed animals & stuffable bears at discount prices. 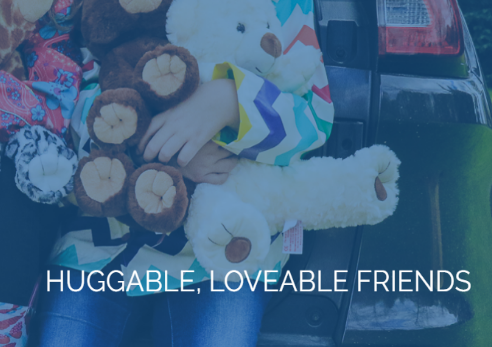 Make your own stuffed bears and stuffable animals kits for charity functions, social events, craft activities and more. A perfect companion for our 15" stuffable plush. Unstuffed animals make ideal gifts for any type of celebration, party activity or social event. Order a litter of stuffable critters for party favors, stocking stuffers and holiday gift giving. Please see our main menu for a variety of bear clothes, stuffed animal clothing and bear accessories. ** A Dolly's World and the products we carry are NOT affiliated, manufactured or associated with Build A Bear Workshops� or Webkinz� . 8 inch Unstuffed Bear kits ~ Stuffable animal kits at discount prices. Wholesale stuffable Animals for Fundraisers, Parties, Holiday events, Group activities, Corporate functions and more. Our 8 inch Plush Stuffable animal kits are affordable, fun and can be made from any location. There is NO SEWING REQUIRED. ALL stuffable animal skins come unstuffed. Just fill with fluff, stuff, and close. You may mix any animals of the same size for discounts. Prices will be discounted in the shopping cart. Please click on any product for more information and to order. Our NO SEW hand stuffed animals are made of the highest quality materials, super soft fabrics and are safe for kids. They have an internal pocket in the back allowing you to add the stuffing. Each animal skin has either a zipper, or zip tie closure as well as a velcro closure for a seamless look. Reusable Take home back packs for Stuffable animals, clothing, party favors, prizes and gifts. Will accommodate all of our stuffed animals. Made to be durable they measure 14" x 14" flat. Carry home boxes Available in 2 sizes. Take home boxes for stuffed animals, teddy bears, clothing, party favors and gifts. High quality 50/50 poly/cotton blend these work great for Sublimation Printing. Wholesale Bear shirts fit 8"-12" stuffable plush, teddy bears, Webkinz and dolls. Click on product for wholesale bulk discounts and measurements. NEW 8" Stuffable HoneyBear ~ unstuffed animal kit. Stuffable animals for animal stuffing party crafts, fundraising charity events, social activities and special event. NEW 8" Stuffable Grizzly Bear unstuffed. Stuffable bear cub for crafts and party activities. and charity events. Stuffable plush animals are ideal for party favors, stocking stuffers and gifts. NEW 8" Cuddle Bear bear unstuffed bear kit. Make your own Stuffed animals for parties, fundraisers, school activities, social events and gifts. NEW 8" Plush stuffable marbled bear unstuffed bear kit. NEW 8" Stuffable Cream Curly Bear. Unstuffed bear kits for Birthday parties, Holidays events, Fundraising and gifts. Unstuffed bear kits for Birthday parties, Holidays events, stocking stuffers and gifts. 8" Unstuffed Polar bear stuffable bear kit. Stuffable bears for make your own stuffed animal party, fundraisers, school activities, charity events and civic functions. NEW STYLE 8" Unstuffed baby Panda bear stuffable bear kit. 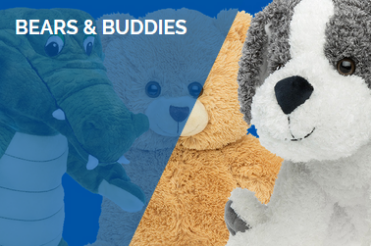 Make your own stuffed bear party with our stuffable animals and stuffable bears. Great for party crafts, Senior activities, Daycare and fundraisers. NEW 8 inch Stuffable Koala bear unstuffed bear kit. Unstuffed bears for build a stuffed bear party crafts, fundraisers and charity events. NEW 8" stuffable bear Kaleidoscope. Make your own Stuffable bears and animals for parties, fundraisers, school activities, charity events and Holiday gifts..
8" Unstuffed Bear PATCHES stuffable plush bear. 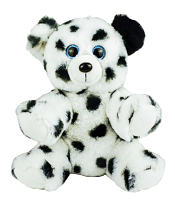 Stuffable animal kits for build a stuffed bear party, fundraisers, Social activities and gifts. 8 inch Adorable Pink Heart stuffable Teddy bear. Unstuffed animals make at home birthday party crafts, fundraising charity events, organizations and groups. NEW 8" Stuffable Camoflouge Bear unstuffed bear kit. Make your own stuffed bears with our stuffable animal kits. 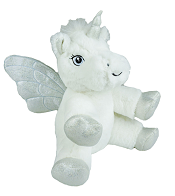 Unstuffed animals are great for fundraisers, charity events, social activities and gifts. NEW 8" unstuffed boxer puppy dog. Make your own Stuffable puppies for parties, fundraisers, school activities, charity events and gifts. NEW 8" Stuffable Dalmatian puppy Dog ~ Unstuffed animal skin. Stuffable puppy dog for kids birthday part crafts, party activities, and charity events. 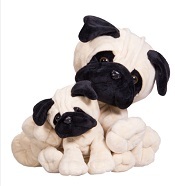 NEW 8" Pug Puppy stuffable dog. NEW Style 8" Stuffable Husky Dog unstuffed animal skin. Miniature stuffable puppy dog for kids birthday part crafts, party activities, and charity events. Stuffable plush animals are ideal for party favors, stocking stuffers and gifts. NEW 8" Plush Stuffable Bulldog ustuffed animal kit. Stuffable dogs and other animals for make your own stuffed animal party, fundraisers, festivals, gifts and more..
GOLDIE 8" Stuffable Dog unstuffed animal kit. Stuffable animals for fundraisers, schools, day cares, group activities and hand stuffed animal party crafts. NEW STYLE Tan LAB 8" Stuffable puppy Dog. Unstuffed animals for fundraisers, schools, day cares, group activities and hand stuffed animal party crafts. 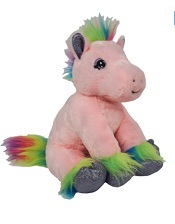 NEW 8" Stuffable Unicorn unstuffed kit. Stuff your own animals with our unstuffed plush stuffable animals. Great for party crafts, fundraisers, charity events and social functions. 8" Limited Edition ICE Unicorn. 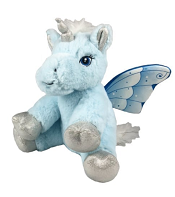 NEW 8" Special edition Unicorn SKYE unstuffed animal kit. Make your own Stuffable teddy bears and stuffable animals for special events, party crafts, group activities and more. 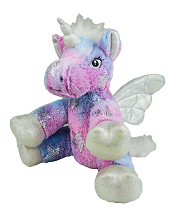 8" Stuffable Unicorn unstuffed animal kit. Make your stuffable animals are great for birthday parties, Group events, social activities, fundraisers, party favors and gift giving. NEW 8" My Pink Pony stuffable animal kit. Stuff your own stuffable animals for parties, fundraisers, social events and gifts. 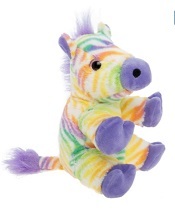 NEW 8" Colorful stuffable ZEBRA. Make your own Stuffable bears and animals for parties, fundraisers, school activities, charity events and gifts. 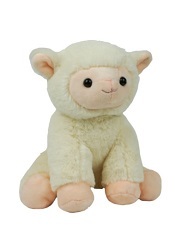 NEW 8" Stuffable baby LAMB. Unstuffed animal kits for Birthday party crafts, corporate events, fundraising, gifts..
NEW 8" Purple Penguin stuffable animal kit. Unstuffed baby penguin for kids birthday party crafts, holiday events, group activities, fundraisers and more. 8 inch Stuffable Penguin unstuffed animal kit. Stuffable animals for Birthday party crafts, home stuffed animal party, chrity events and gifts. Unstuffed plush animals. NEW 8" Pink Kitten stuffable animal kit. Unstuffed kitty for kids birthday party crafts, charity events and fundraisers. 8" Plush stuffable Kitty cat unstuffed animal kit. Stuffable animal kits for hand stuffed animal party, fundraisers and charity events. NEW 8" Plush Stuffable Cheetah kitten ustuffed animal kit. Stuffable cats and animals stuffed animal party favors, fundraisers, day cares, festivals and gifts. NEW 8" Unstuffed White Leopard kitten stuffable animal kit. Make your own stuffed animal party with our stuffable animal kits. Unstuffed animals for parties, charity events, fundraisers, party favors and social functions. NEW Style 8" Cream Bunny stuffable animal kit. Unstuffed Bunny for make your own stuffed bear party, kids birthday party crafts, charity events and fundraisers. NEW 8" Unstuffed TAN Bunny with floppy ears. Stuffable bunny for parties, holiday events, fundraisers, party favors and gifts. These make GREAT stocking stuffers. 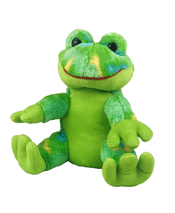 NEW STYLE 8" Stuffable Frog. Build your own Stuffed animals for party crafts, Charity events, group activities, gifts. NEW 8" Stuffable Dinosaur unstuffed animal kit. Make your own stuffable dinosaur. Unstuffed animal skins are great for party events, fundraisers, charity events craft activities and gifts. Stuffable animals for party crafts, events and gifts. NEW 8" Stuffable Lion unstuffed animal kit. Make your own stuffable animals for fundraisers, kids party crafts, group activities and gifts. 8 inch Stuffable Cheetah unstuffed animal kit. Make your own stuffed animals for animal stuffing parties, holiday events, fundraisers, social functions and gifts. NEW 8 inch stuffable Snow Leopard unstuffed animal kit. Stuff your own animals for parties, holiday events, charity functions, kids birthday party and gifts. Stuffable Monkey for kids birthday party crafts, make your own stuffed animal events and gifts. NEW 8" Unstuffed Monkey stuffable baby orangutan. Stuffable plush animals for animal stuffing parties, fundraisers, events and gifts. Unstuffed animal skins like Build a Bear. 8" Unstuffed Monkey stuffable animal kit. Stuffable plush animals for fundraisers, make your own stuffed animal party and gifts. Unstuffed plush animals. NEW 8" Stuffable baby Elelphant. Unstuffed animals for party crafts, charity events, group activities, gifts. 8" Stuffable Elephant unstuffed animal kits. 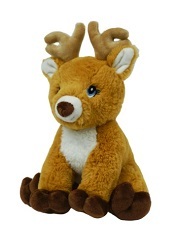 SALE ~ NEW STYLE 8 inch stuffable Reindeer unstuffed animal kit. 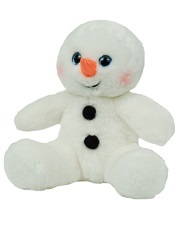 NEW 8" Stuffable Snowman ~ Available in 8" and 16" size. Stuff your own animals with our untuffed animal kits. Great for holiday events, animal stuffing parties, kids birthday party and gifts.